We have had barely a moment to catch our breath and a few zzzzzzzzzzz’s and have hit the ground running with a very early morning start for the 2 hour drive to Bifengxia Panda Base. Here is where one of my favorite champions for the Giant Panda, Suzanne Braden and her team work hand in hand with the panda center through her non profit organization PANDAS INTERNATIONAL as U.S. liaison educator and fundraiser for the Giant Pandas of Wolong/Bifengxia. We are getting a personal tour today , hopefully by director Dr Tang (thank you Suzanne!! ), and one thing we are crossing our fingers for is to hopefully get a peek and some photos of the new arrival………our very own Tai Shan from the National Zoo in DC. I’m sure you all have heard Tai arrived in China just a couple of days ago so he may be in strict quarantine still so we will be playing that by ear. Besides trying to get a glimpse of Tai, the main focus of the day trip to Bifengxia is to take as many photos as possible for my book I am writing , to be released later in 2010. All proceeds go to the pandas of Bifengxia. Above is a pin I designed which is attached to a card describing the book to give to interested people we meet along the way. I brought a ton of my silicone Project Panda bracelets with too for the kids!! AND TODAY IS THE DAY TO SEE JUST HOW HIGH WE CAN GET OUR PANDA ADOPTION TOTAL , AS I WILL BE PICKING OUT OUR ADOPTION GROUP’S SPECIAL PANDA AT BIFENGXIA….PHOTOS TO COME SOON! DONATE VIA PAYPAL BELOW, OR IN THE RIGHT SIDEBAR YOU CAN CLICK THE LINK TO FIND OUT MUCH MORE INFO ABOUT YOUR CHANCE TO BE A PART OF THIS UNIQUE PANDA ADOPTION ADVENTURE!!! The Bifengxia Base is situated in 8 kilometers from Ya’an City, 150 kilometers from Chengdu. It is the first scenic spot integrating natural scenic spot and eco-zoo in China, including leisure, vacation, sightseeing, and entertainment. Ecological wild animal zoo was built in 1999 in Bifeng Gorges. Former Chinese PM Zhu Rongji gave words to ecological protection in Bifeng Gorge “Ecology is our resource, our fortune and our lifeline”, when he inspected Bifeng Gorge in 2001. For the safety and development of the captive giant panda, the State Forestry Administrative Bureau decided and invested 27.6 million RMB to build a new panda base, i.e. Ya’an Bifengxia Base of China Conservation and Research Center for the Giant Panda. Ya’an Bifengxia Panda Base is located in Bifengxia Town, Ya’an City of south-west Sichuan Province. It’s a giant panda’s paradise with well captive raising, reproduction, rare wild animal rescuing and education facilities. Bifengxia base was opened in 2003 as the part of the world’s largest Giant Panda Migration. It was the biggest artificial migration of captive-bred giant panda ever seen. The new accomplished reserve base is located in altitude of 1100m to 1800m. In the base, there are over 20 spots, such as breeding, research center and special kindergarten, hotel for panda. In there 6 kind of bamboo as panda’s favorite food are supplied. Now 16 pandas were moved to the Bifengxia base, sharing their life in luxurious villas with accompaniments of air-conditioners, toilets, independent water supply system and sport areas. Bifengxia Panda Base is arguably the best place to see pandas in the natural scenery they inhabit. Extending to about 60 square kilometers, Bifengxia has been long famous for its forest coverage, waterfalls, river and breathtaking landscapes. Now that it has been selected as China’s latest giant panda protection base, Bifengxia has a new role to play in altering the destiny of the endangered species. Pandas will be returned to nature after they have been given relevant training in simulated wild environments. At up to 1,200 meters above sea level, Bifengxia is under the jurisdiction of Ya’an City. In the dense broadleaf forest with singing birds and murmuring streams stands a big gate with the image of a lovely giant panda carved on it, marking the entrance to Bifengxia Giant Panda Base. Walking through the gate and along the meandering mountain slope for a while, visitors can see several European-style cabins made of bricks and tiles. These are the pandas’ homes. More than 20 spots have been set aside for panda-related activities and scientific experiments. 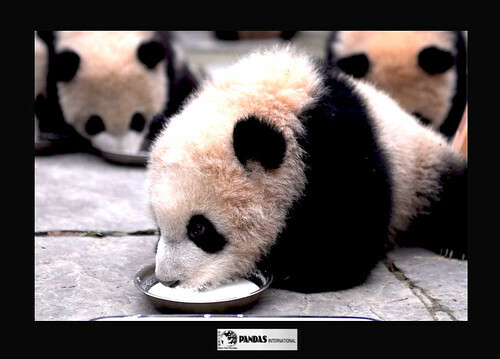 There are dedicated grazing grounds, “kindergartens” for young pandas and even a panda hospital and research institute. Several different varieties of bamboo have been planted in the base either by the water or on the slopes. The new home for giant pandas appears like a park with a natural environment. The 16 giant pandas in the base will be raised through an outdoor method so as to encourage them to develop abilities better fitted to the natural environment. 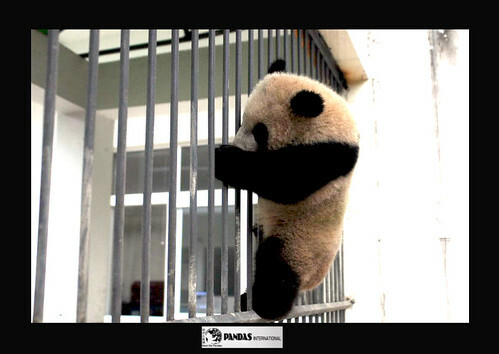 The base will lead the world in raising pandas in this way. Upon completion of the whole project, the base will have four functional areas for grazing, offices and living quarters. 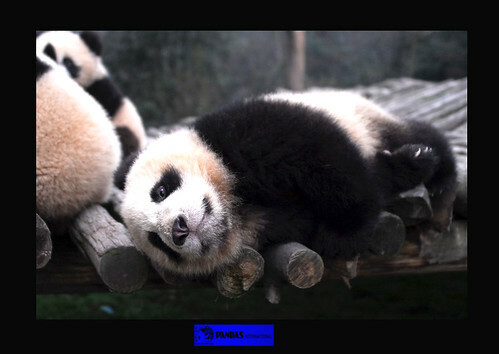 This new base is a branch of the China Giant Panda Research and Conservation Center in Wolong. 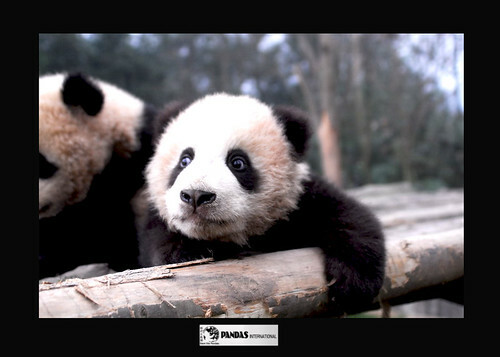 With vegetation coverage of 80 per cent, it is the world’s largest giant panda eco-park. It is planned that in five to seven years, the base will have 40 giant pandas in total. World’s Largest Giant Panda Park Opens The world’s largest park for giant pandas has opened in southwest China’s Sichuan Province with an initial group of 20 animals. Transportation – Xiaoxitian hotel is just in the Panda base, which is 16 km from Ya’an City and 150 km from Chengdu. There are some mini-super-markets in and around the Panda base. There are many shuttle buses to Ya’an and Chengdu City every 35 minutes. 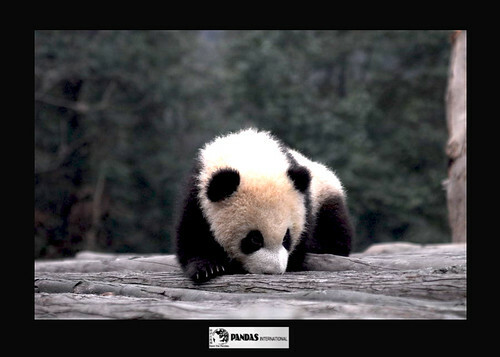 Money issues – There is no ATM in the Panda Base, but there are many Banks of China, and several ATM machines in Ya’an and Chengdu. Internet use – You can use the Internet in the office in the Panda base and there are many internet cafes in Ya’an city. International Phone calls – You can make international phone calls in Ya’an city but not available in the Panda base unless you have your own cell-phone, which is relatively expensive. Health information – There is a hospital at the Panda Base and several good hospitals in Yaan city. Weather and Clothes – The mountain weather is changeable, and it can be much colder and rainier at Wanglang than at lower elevations. Bring extra clothes for warmth and rain protection and wear comfortable, waterproof walking shoes. Bring sunscreen for sunny days. June, July, and August receive the most rain, however, it can rain anytime. Snow is possible as early as September, but is most prevalent from November through March. 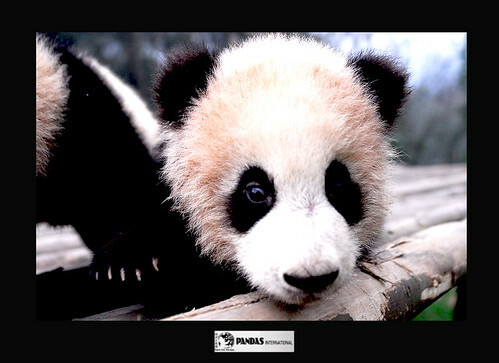 Pandas – You will receive an in-depth training on the care of Pandas and guidelines while working with the Pandas. Your trainer will answer all your questions and is very important that you do whatever the trainer requires. How many pandas are left in the world? China currently has about 1,000 giant pandas in the wild, most of them living on the mountains around the Sichuan Basin, southwest China according to the Ministry of Forestry. What is the life span of a giant panda? The average life span of the giant panda, in the wild is about 15 years, but in captivity they have been known to live well into their 20’s and rarely into their 30’s. Why are giant pandas endangered? Habitat encroachment and destruction are the greatest threats to the continued existence of the giant panda. This is mainly because of the demand for land and natural resources by China’s one billion plus inhabitants. In addition giant pandas are also susceptible to poaching, or illegal killing, as their dense fur carries a high price in the black markets in the Far East. CHECK OUT THE VIDEOS AND IPADIO PHONE CASTS BELOW OFTEN, AS WE WILL BE POSTING LIVE UPDATES WHERE WE CAN FIND WIFI. OTHERWISE TONITE WE WILL BE POSTING A FULL TRAVELBLOGUE UPDATE AND IMAGES FROM THE DAYS EVENTS!!! HAVE A PAN-TASTIC DAY MY FRIENDS!!!!!!!!! Glad you arrived safely! The baby pandas are so adorable. Makes you want to hug one. I also love, love, love the embroidery from your first day! Hard to believe it is needle and thread rather than paint brush. The hotel is awesome and looks so relaxing. So glad you are letting us peek over your shoulder. Hi Sandra! I’m glad you’re safe and having a fantastic trip. I look forward to hearing all about the pandas and seeing your pictures! I’m glad to hear that you arrived safely! If you are able to see our boy, please tell him that we love him and miss him and are very proud of him! Looking forward to hearing about your adventures! Beautiful photos of pandas in a marvellous site. I am looking forward news of these wonderful bears. Your site is so cool! Looking forward to checking more out everyday. Hope you do get to peek at Tai. Missing him terribly! Enjoy your trip! Did you see Panda Fu Long in Bifengxia? If yes, did you get footage of Fu Long and how is he doing? Hi Sandra! Thanks for the great news about Tai– and the news that Lani is better– in their respective adjustment periods in China. So sorry you couldn’t see them in person, but not really surprised. ANY info at this point is valuable. And how great you got such a nice tour of the area. Looking forward to hearing more. Stay safe and have a great time! Hug a panda for me.